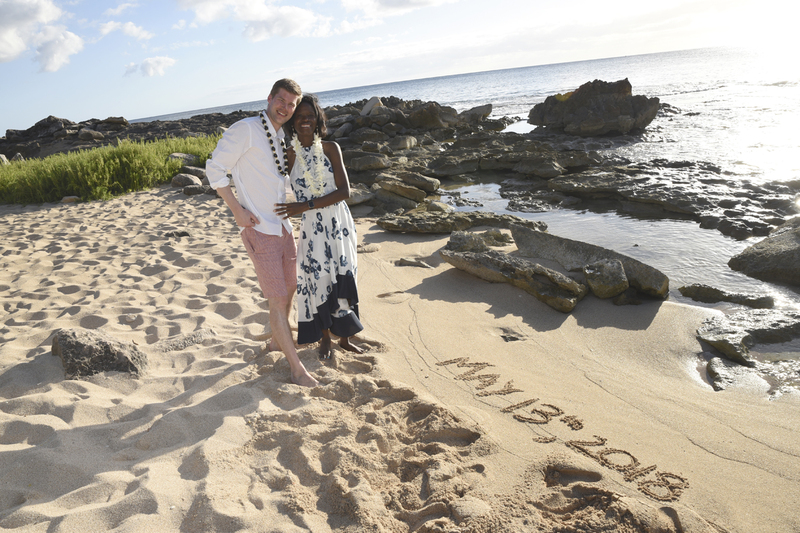 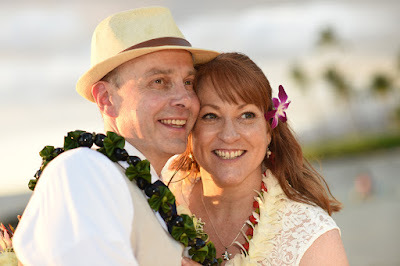 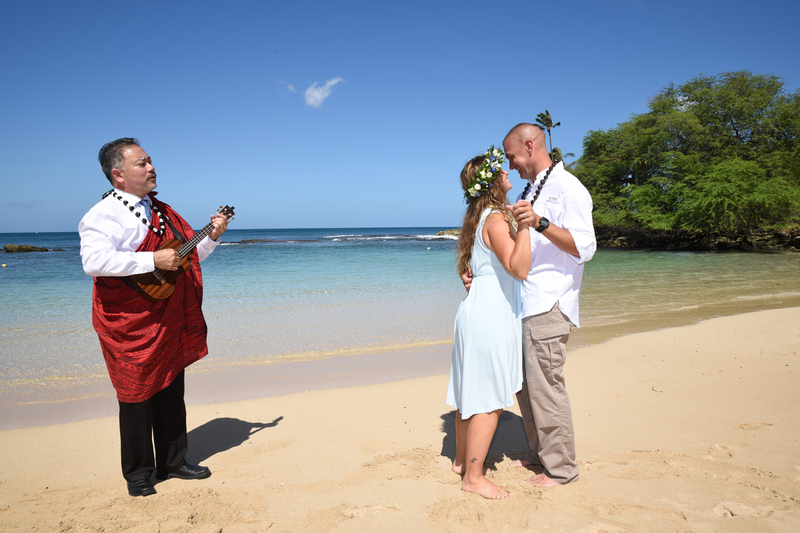 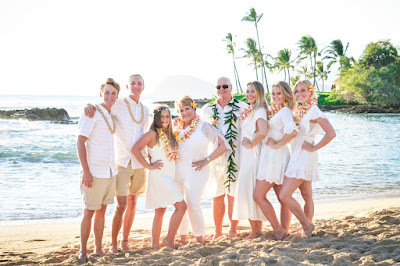 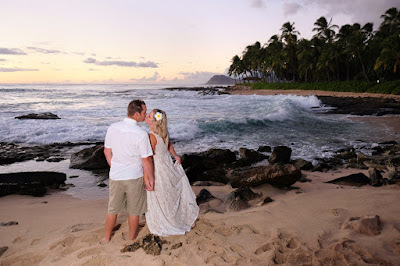 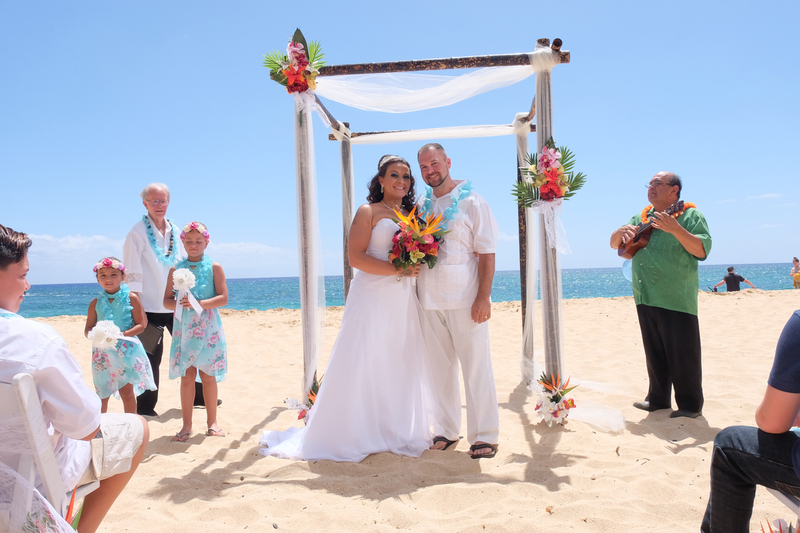 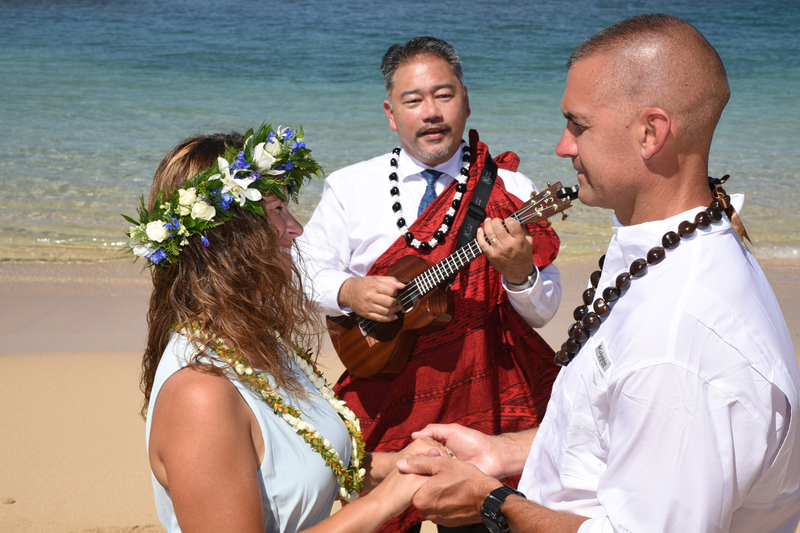 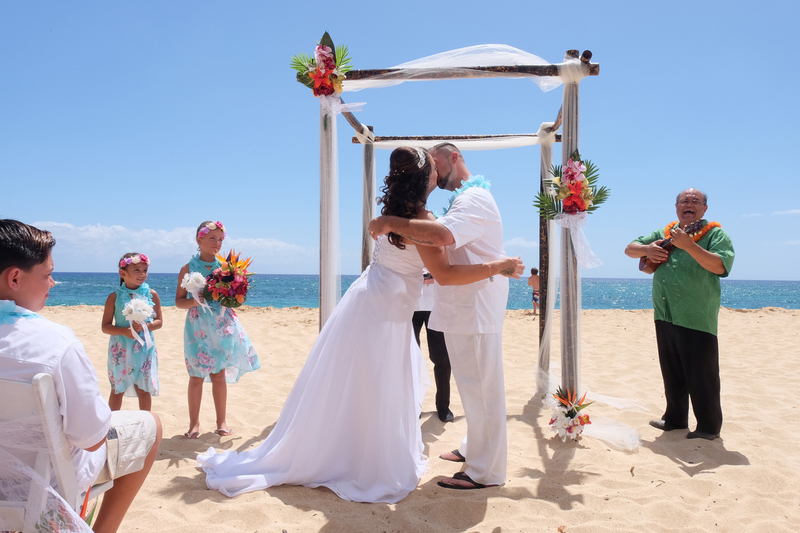 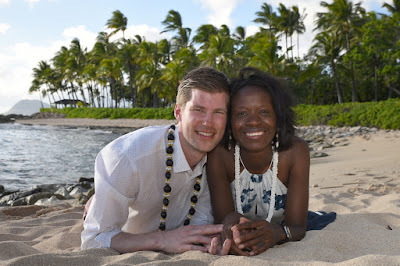 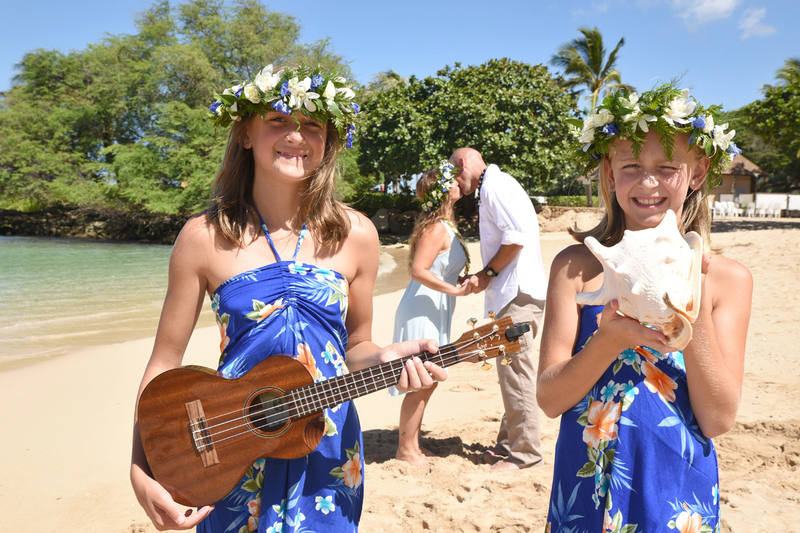 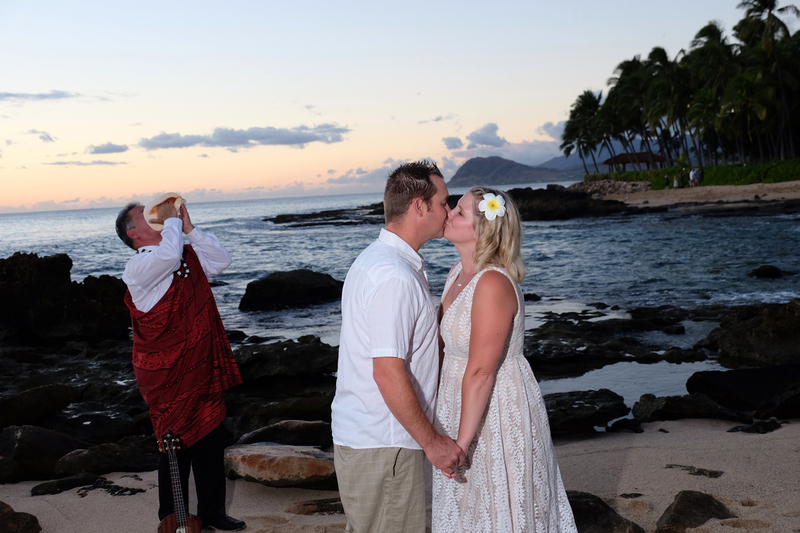 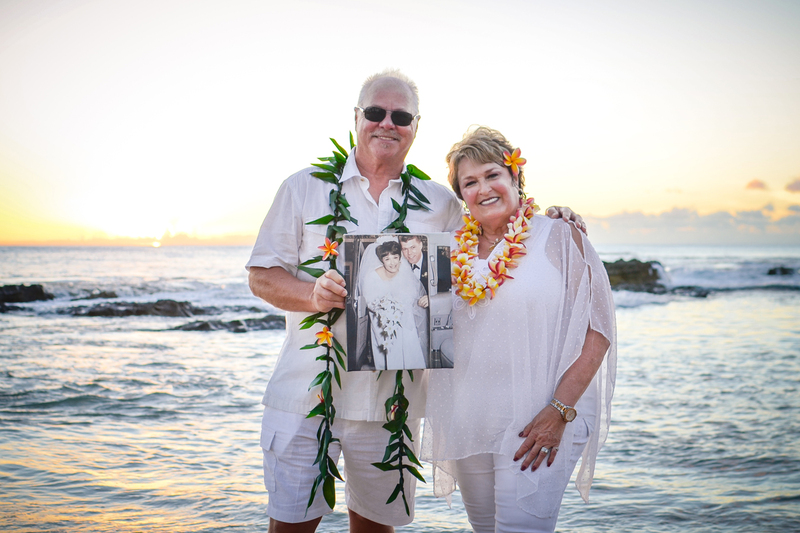 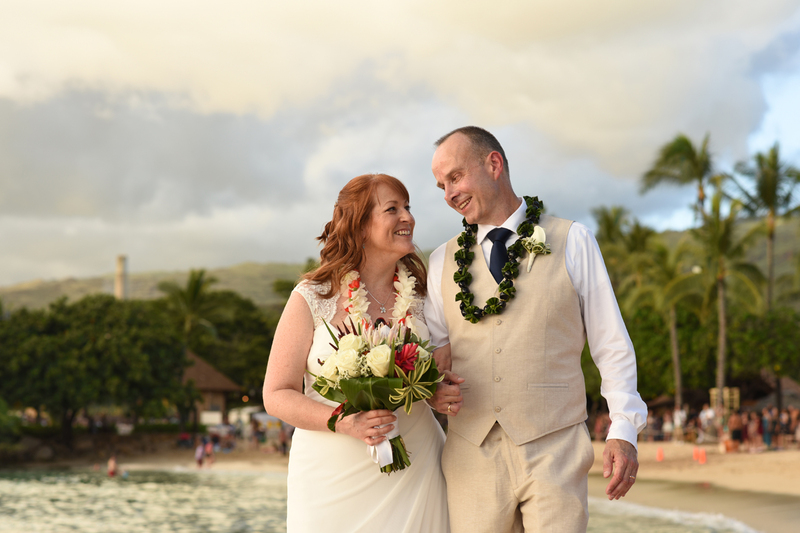 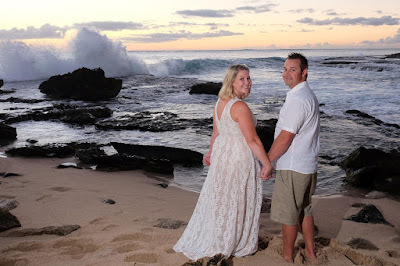 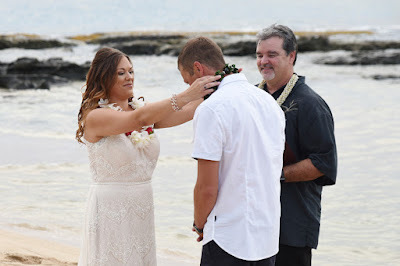 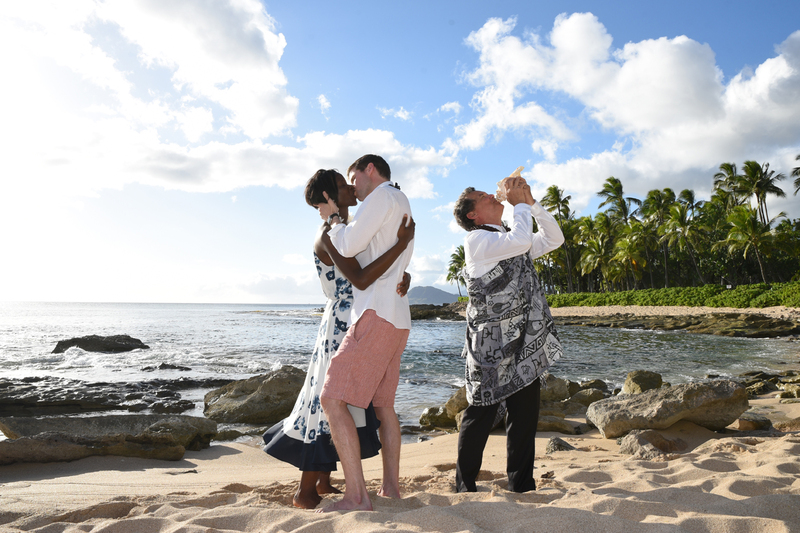 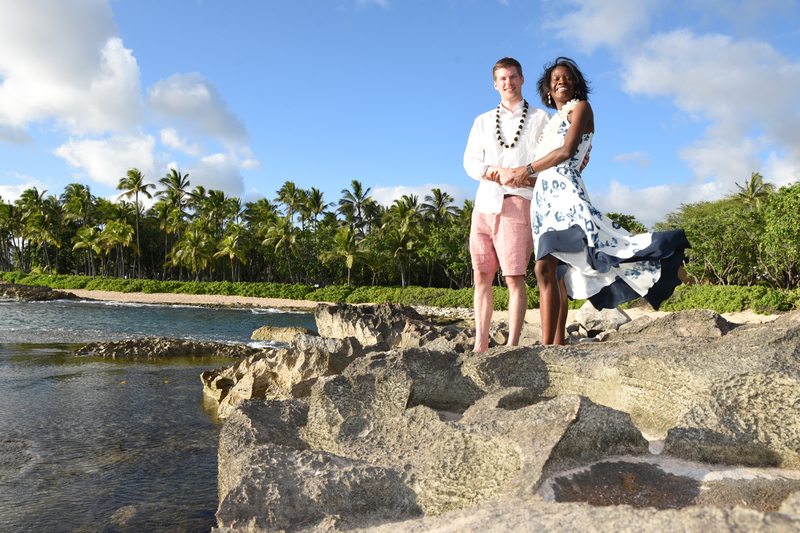 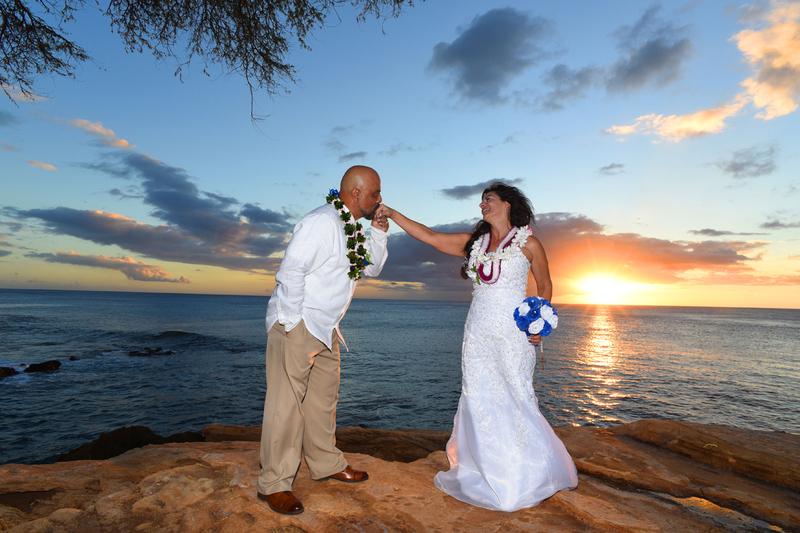 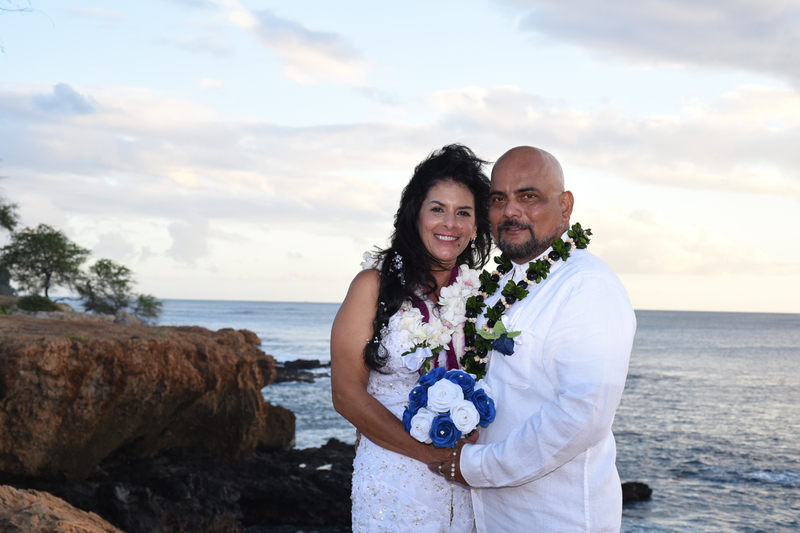 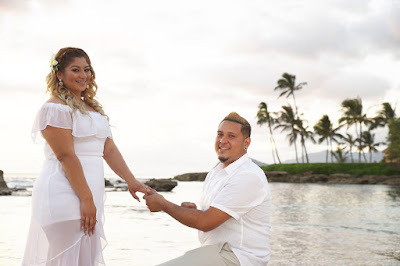 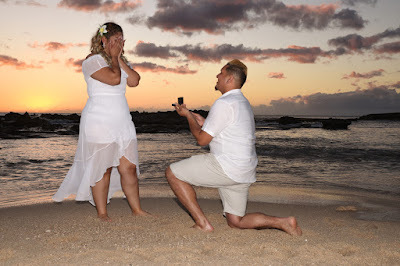 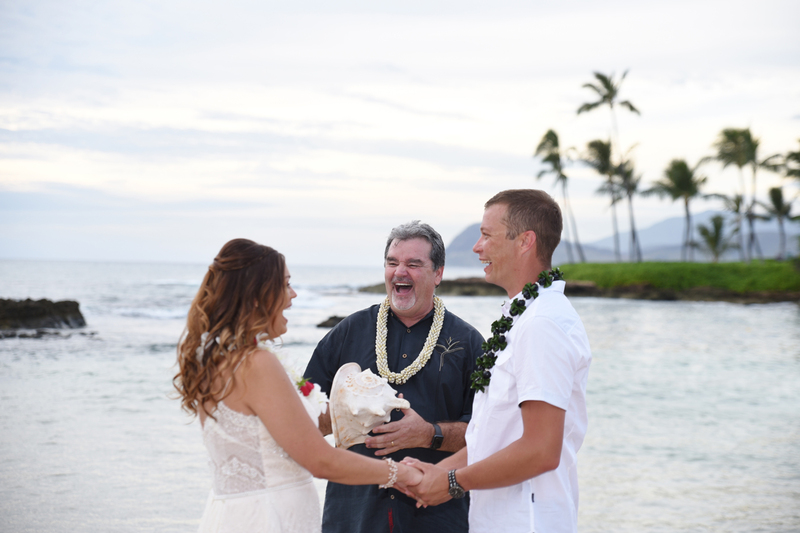 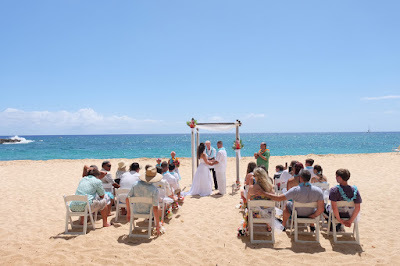 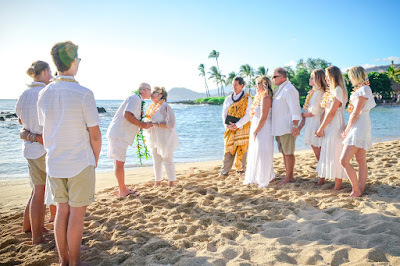 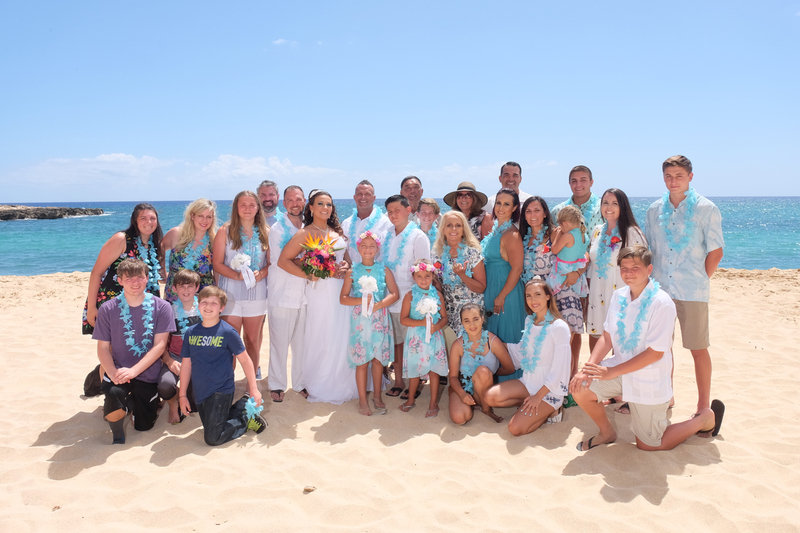 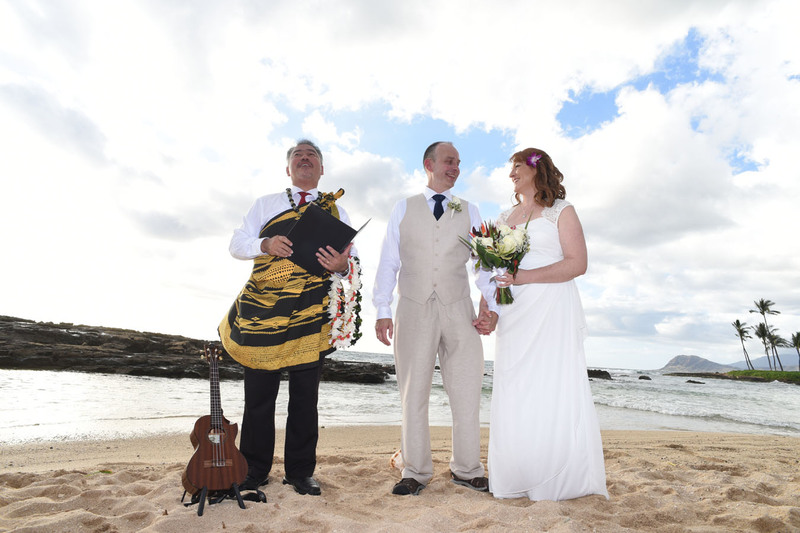 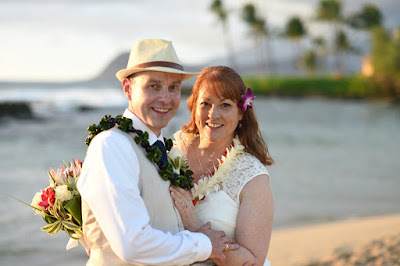 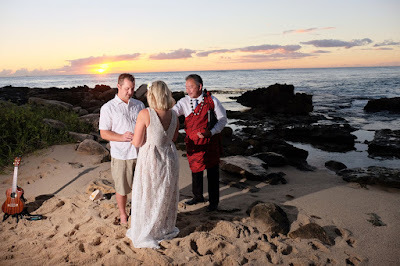 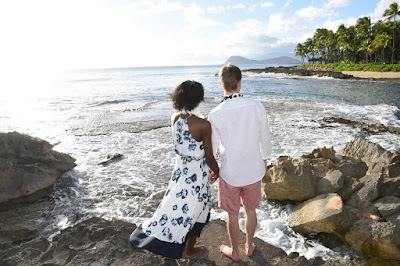 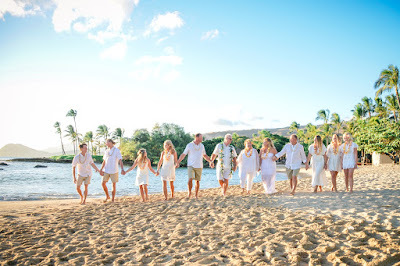 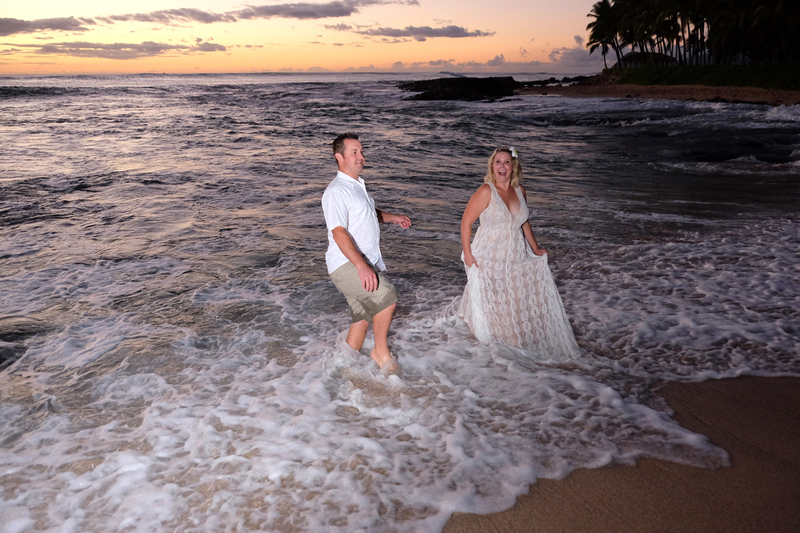 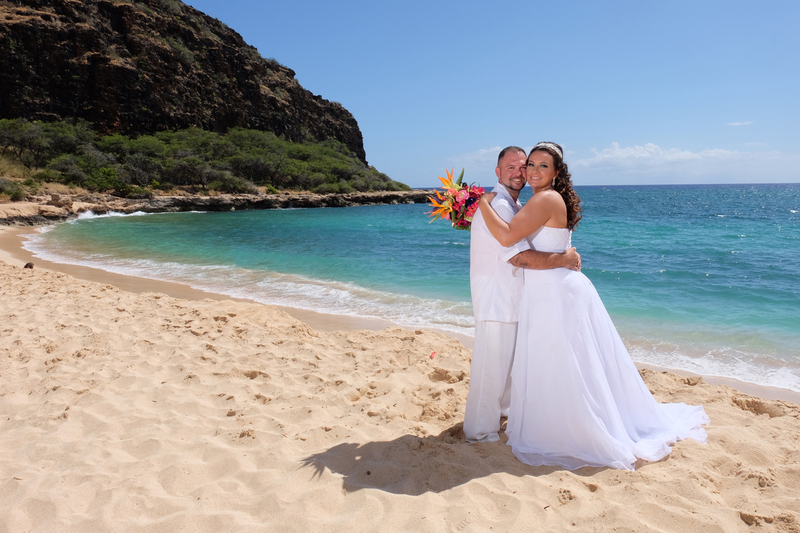 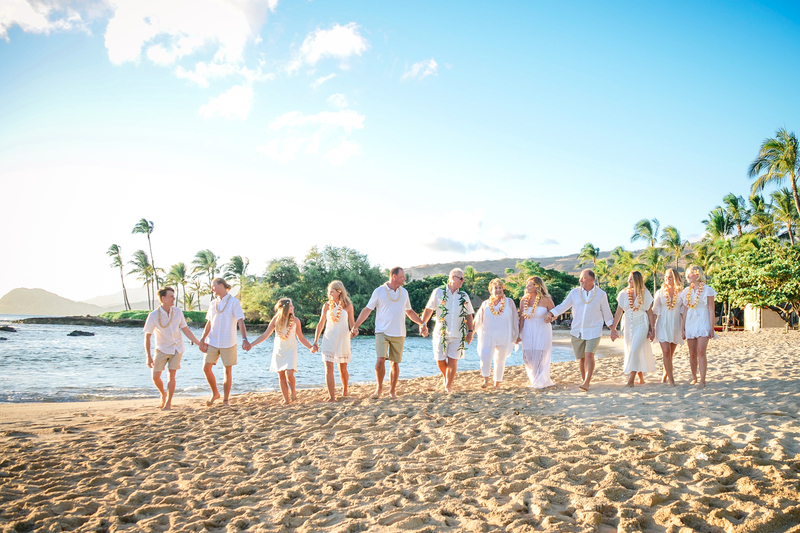 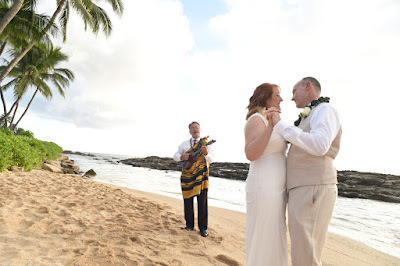 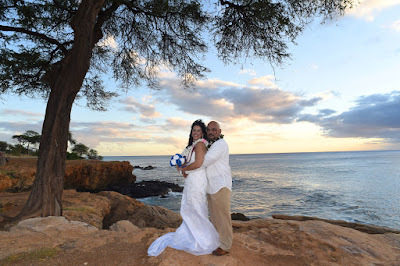 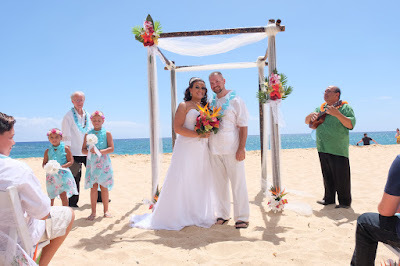 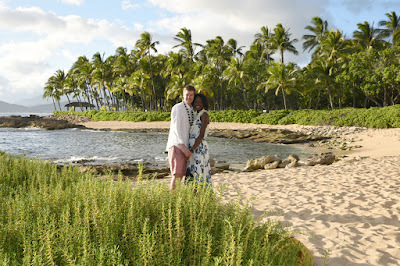 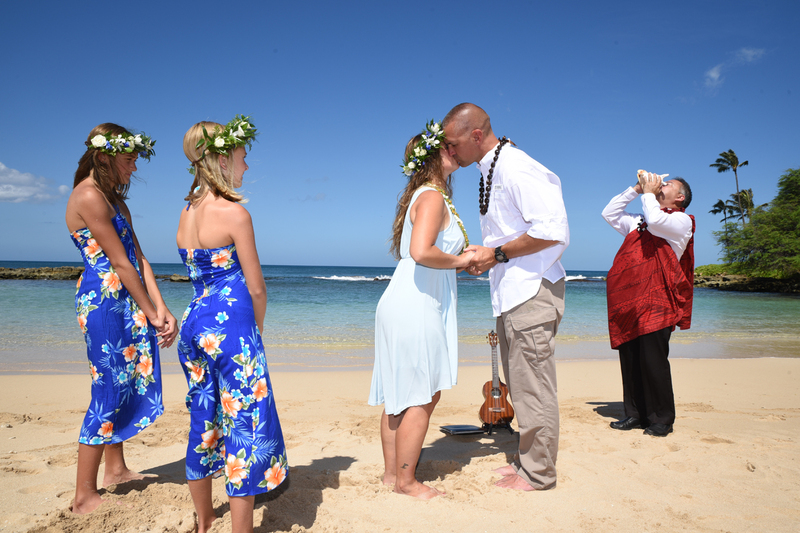 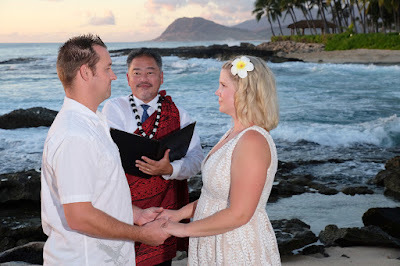 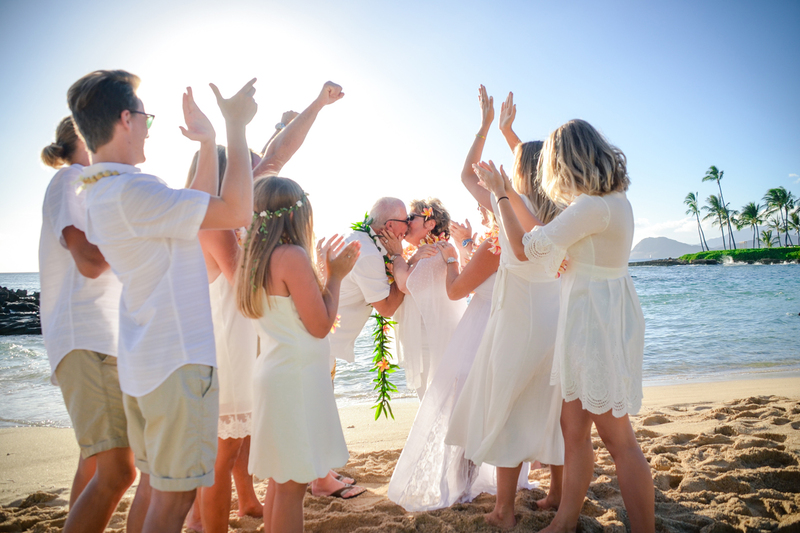 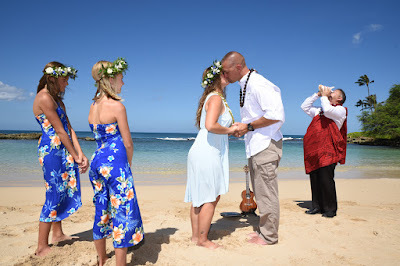 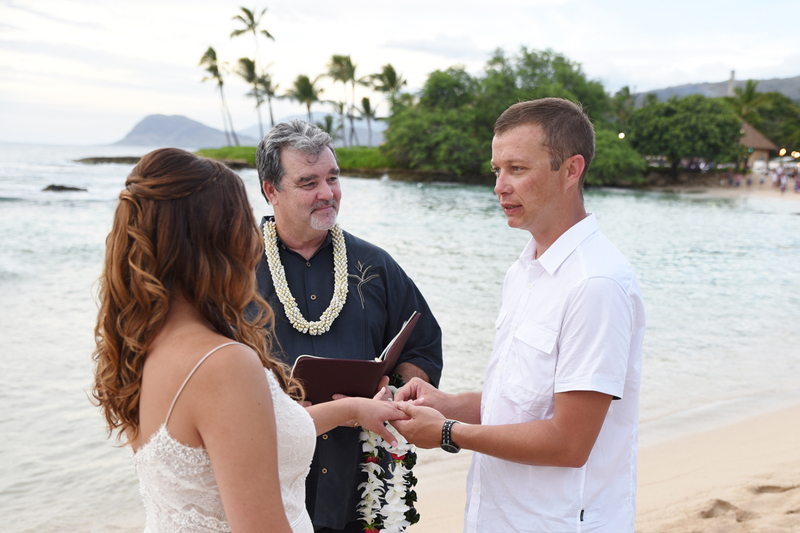 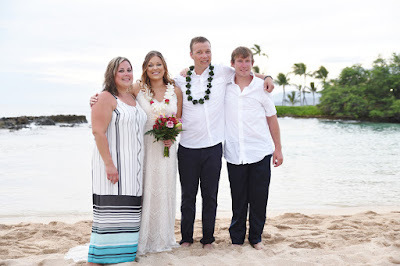 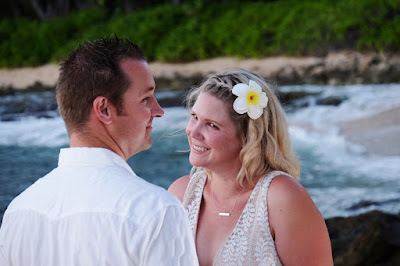 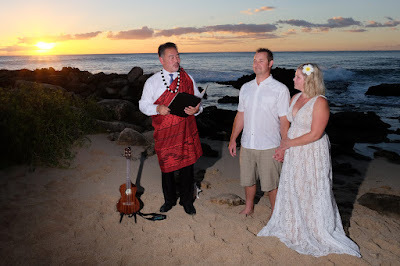 Chad and Katrina tie the knot in Ko Olina by Paradise Cove Luau. 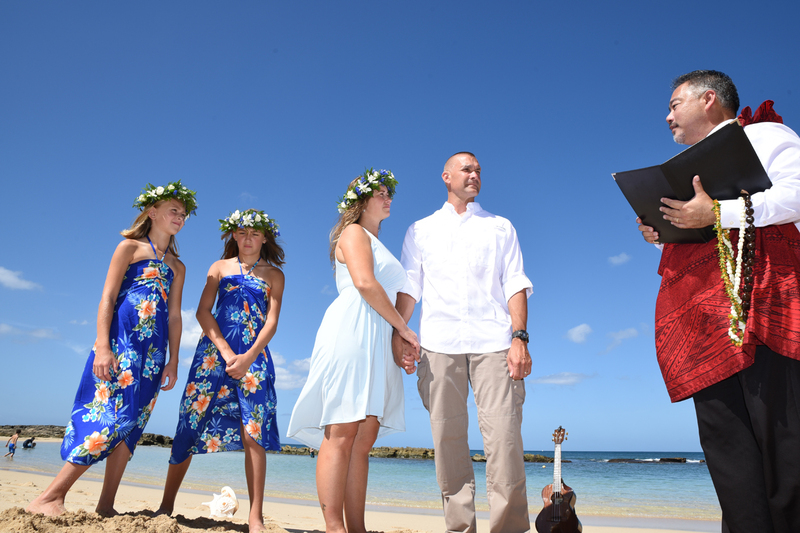 Wedding ceremony by Rev. 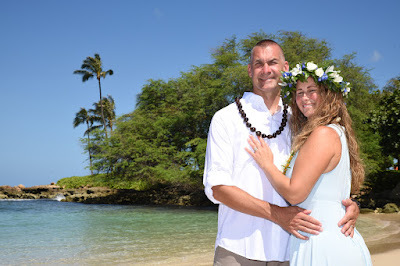 Troy, photos by Robert Hamilton. Time to start the festivities. 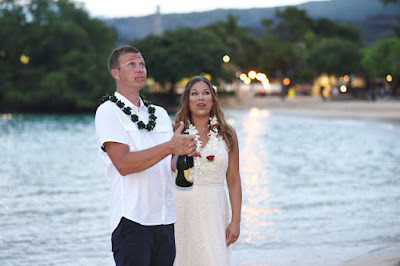 Let the celebration begin! 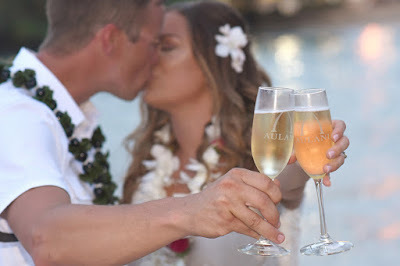 AULANI champagne glasses fit in nicely in Ko Olina. 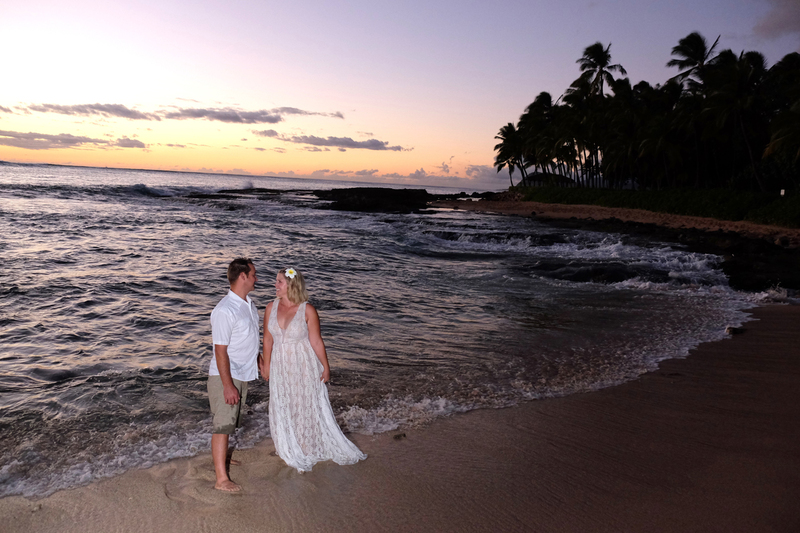 Evening stroll at Paradise Cove Beach. 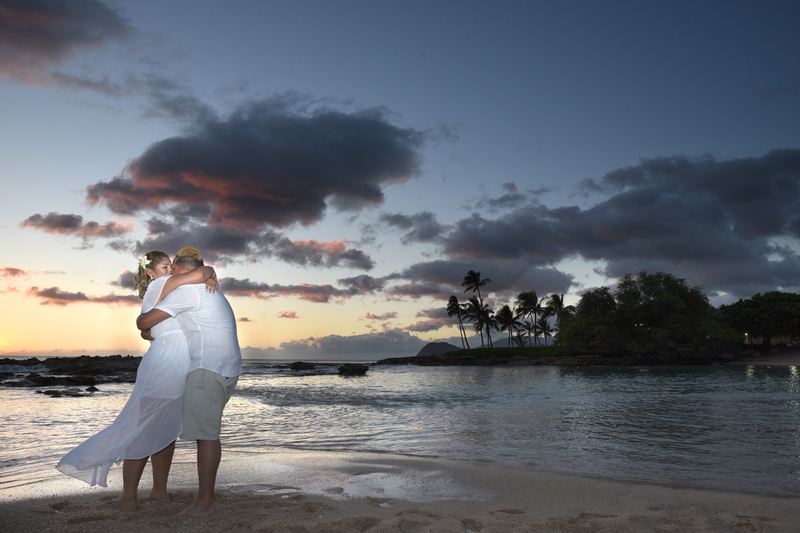 Starting to get dark, but I like the light reflecting on the water.